Available in threads (whole stigmas) and ground, your best bet is to go with saffron threads. Not only will they retain their flavor longer, but you will also be assured you have purchased pure saffron. Powdered saffron is not as strong, tends to lose flavor, and is also easily adulterated with fillers and imitations. 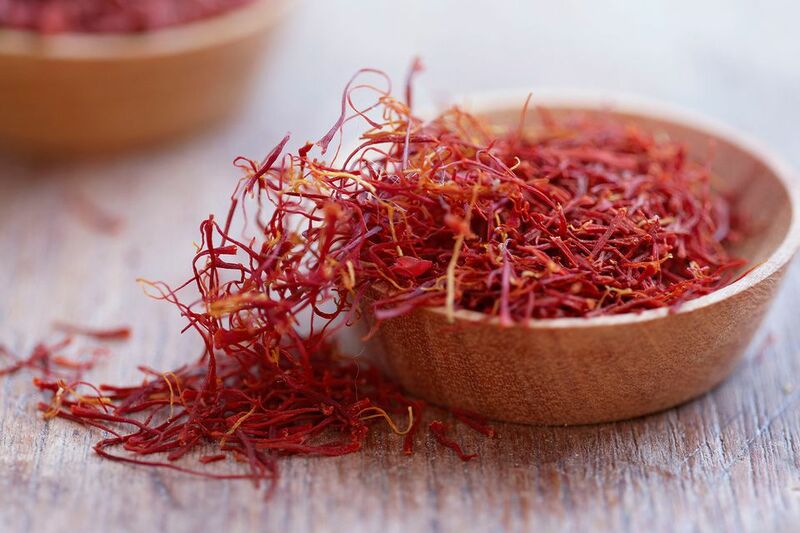 Since so little is needed, you will find ground saffron sold in packets of about 1/16 of a teaspoon, and threads equaling about 1/4 gram or 1/2 of a teaspoon. Yet, these seemingly small amounts will often flavor more than one dish. If you cannot find saffron on your local market's spice shelves, try asking at the service desk. It is often hidden in the office to thwart would-be thieves. Threads should be crushed before using. For ground saffron, lightly toast and grind threads yourself. Steep them in the cooking liquid before using. The longer you steep the saffron threads, the stronger the flavor and color. I know of some frugal cooks who steep a few threads in a few tablespoons of hot liquid for 10 minutes, use the liquid in their recipe, then dry and reuse the threads a second time. Store saffron in an airtight container in a cool, dark place for up to six months for maximum flavor. Saffron, like other herbs and spices, is sensitive to light, so wrap the packet in foil to protect it further. Saffron will not spoil, but it will lose increasingly more and more of its flavor with age.